DisneySea claims the top spot for my favourite theme park in Japan (or anywhere else, really). 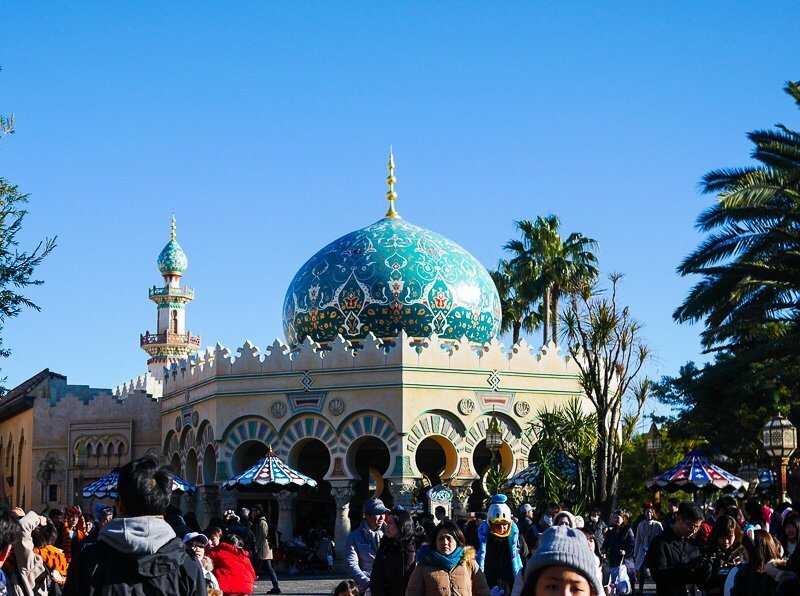 The theme park is so meticulously and beautifully decorated that you will feel as though you’ve been transported to another world. Even though the rides are a bit of a letdown, the entire atmosphere and environment more than made up for it. 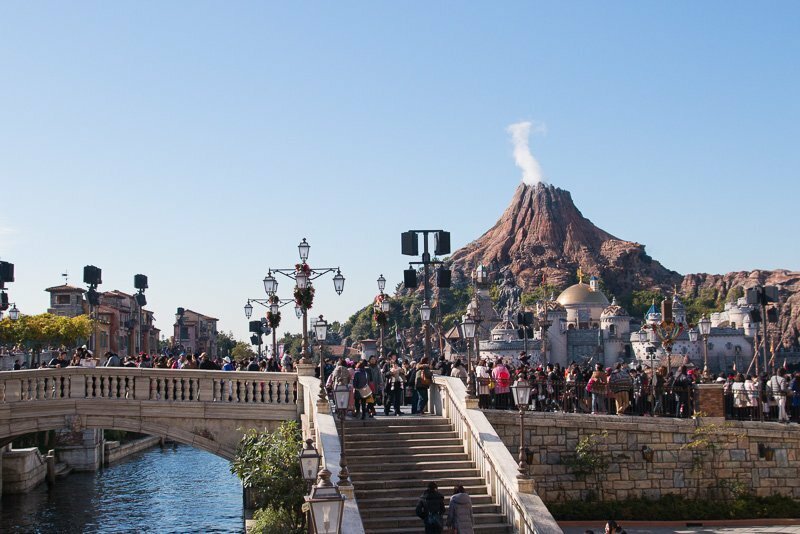 With an impressive waterfront town on one side and Mount Prometheus, the centerpiece volcano of the park on the other, DisneySea promises an immersive experience right as you enter. To make the most out of your day, check out the opening hours (which differs from day to day) and arrive before the park opens. 30 minutes will not get you to the front of the queue but should be more than sufficient for a good headstart. This is the one ride that I’ve always wanted to try but never made it so I’m recommending this based on sheer popularity. The queue forms fast for this attraction. Queuing typically takes 100-150 minutes. 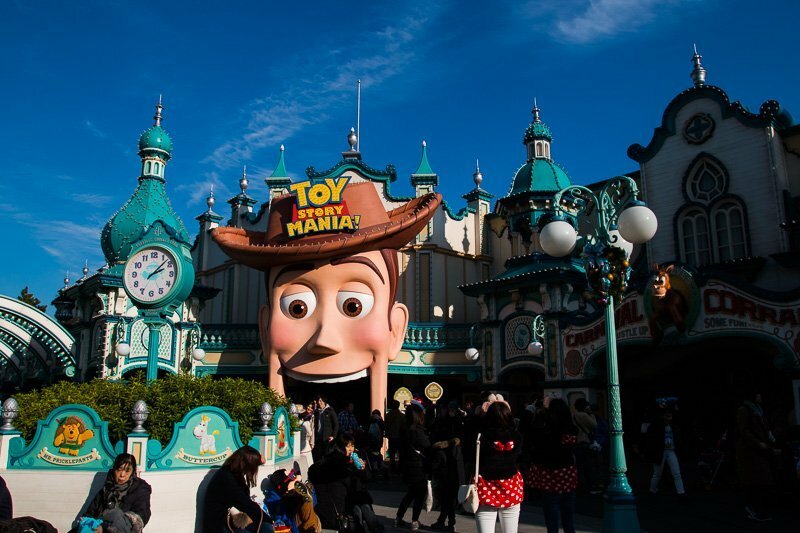 So make a dash for Toy Story Mania! once the park opens to grab the fast pass or join the queue. And if you managed to try out the ride, let me know if it’s worth keeping on this list! Not exactly the most thrilling ride, but I like the buildup leading to the actual ride, where you’re transported from room to room in the cursed tower. When you arrive at the actual ride, you will strap yourself in with something like a loose seatbelt. Admittedly unnerving, considering the height of the tower. Before you know it, you’ll be elevated to the highest level of the tower and get dropped at high speed. And if you manage to pay attention to the surroundings, you’ll find yourself getting a great view of the park before plummeting. Go on a slow, relaxing boat ride around this tiny world, which brings you from one beautifully crafted scene to another. 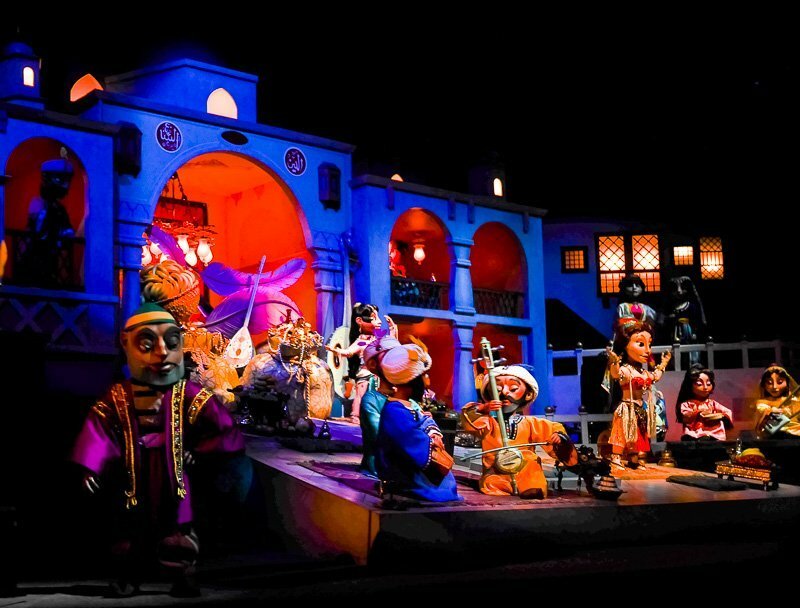 The ride is an amazing display of animatronics combined with storytelling, clever choreography, and meticulous audio design. You’ll be overwhelmed by the number of details, but in an exhilarating and enjoyable way. The 10-minute ride will make for a good rest after all the walking too. 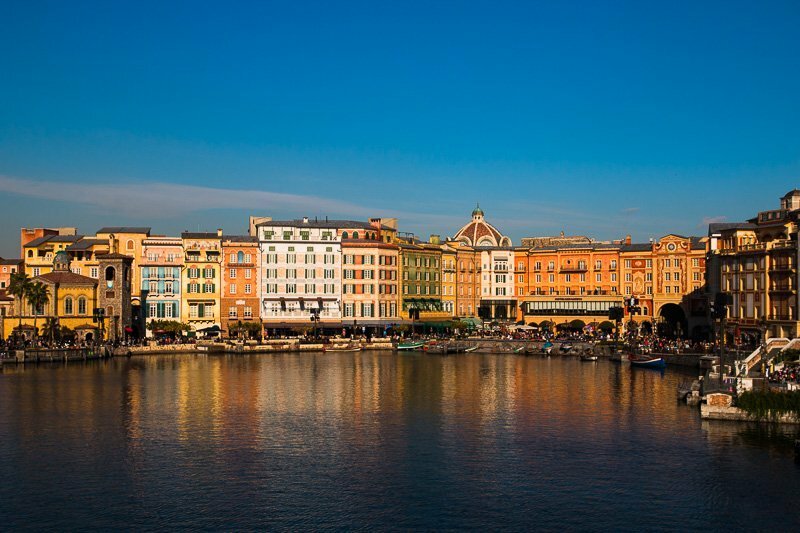 Go on the gondola ride at twilight and watch the park bathe in golden rays. 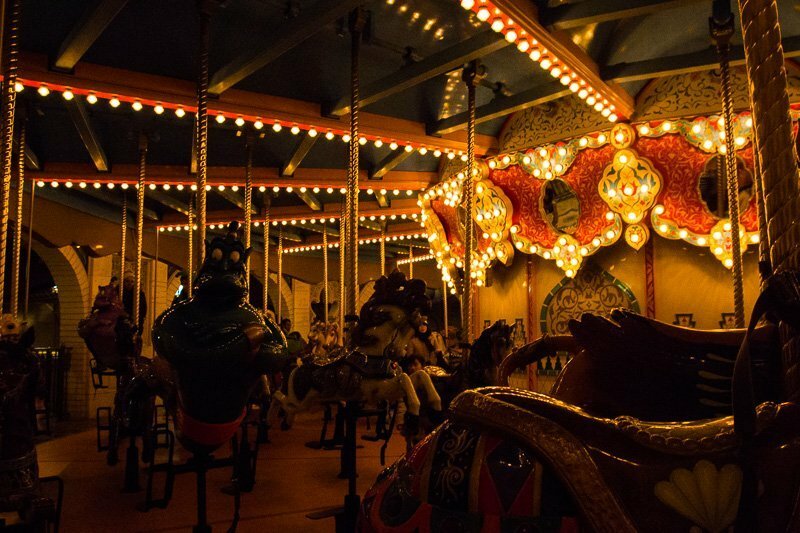 Alternatively, take the ride after the park lights up at night, to enjoy a romantic tour. 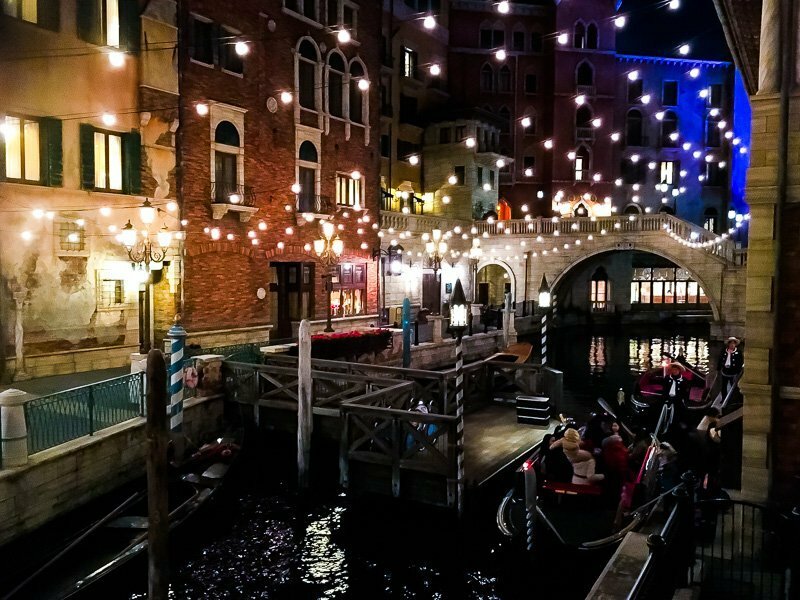 Gondoliers will always strike conversations with guests. Occasionally, they will even break out in songs that make the ride extra memorable. We have friends who specially buy Starlight or After 6 Passports (discount passes for entry after a certain time) to watch this Broadway-themed performance. And I can see just why. The performance was lavish and professional, paying homage to jazz performances with a twenties vibe. The venue itself is also pretty impressive; it was a large musical theatre with spacious seating areas and upholstered seats. The performance reminded me of the old-school Disney cartoons where the music and expressions were often exaggerated for the comedy effect. 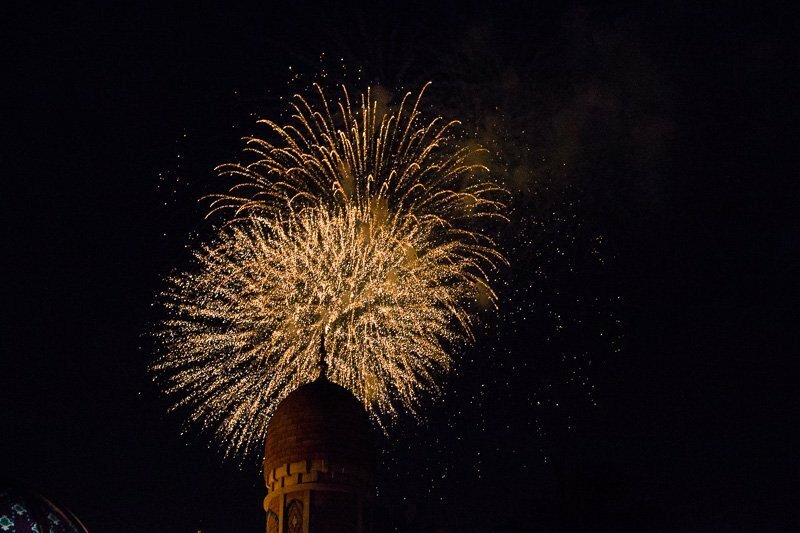 To watch this performance, you will need to enter a lottery at the Mediterranean Harbour. Scan the QR codes on your tickets at the lottery kiosks and tickets will be issued immediately if you ‘win’ the lottery. I’m guessing you can increase your chances of getting the tickets by trying earlier in the day, enter in smaller groups (2-3) and try for the later shows. You can queue up for this performance in Mermaid’s Lagoon. Though it is designed for younger kids, I must say I was equally enthralled. The theatre is designed to allow viewing from all angles so the audience will be able to appreciate the full experience, regardless of where they are seated. 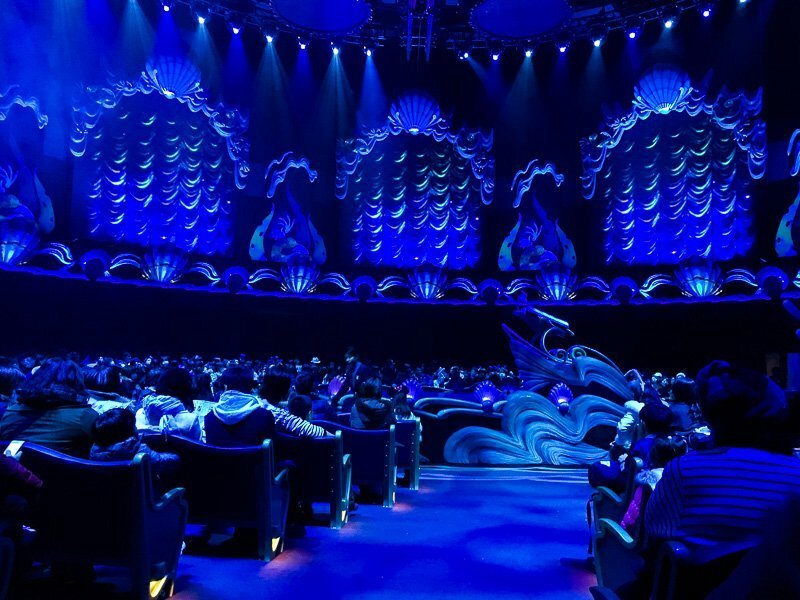 The performance features Sebastian and Flounder, a gigantic animatronic King Triton and Ariel, who will break out into acrobatic stunts. The famous show on water at the Mediterranean Harbour. 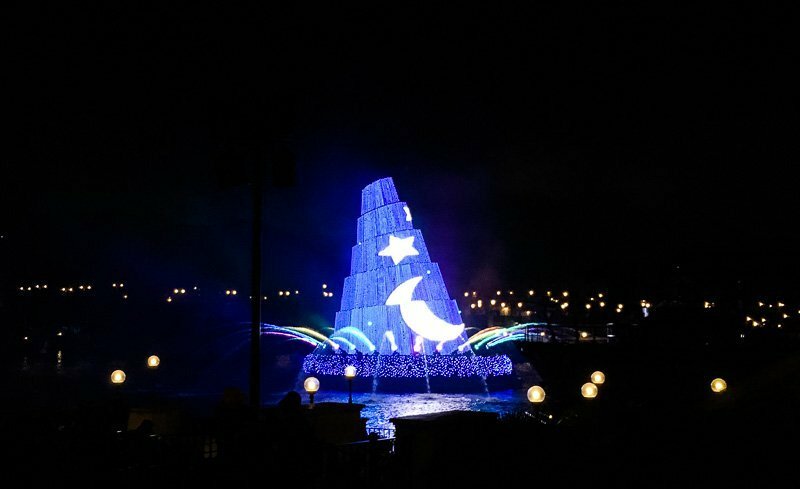 A conical structure rises from beneath the water to project some of the most memorable Disney scenes, accompanied by familiar tunes. Soundtracks from Fantasia, Pinnochio, Little Mermaid and Snow White are some that I recognize. At one point, a 3-dimensional structure of the dragon from Sleeping Beauty appears from the corner to add to the climax. It is truly magical and a must-watch for any Disney fan. 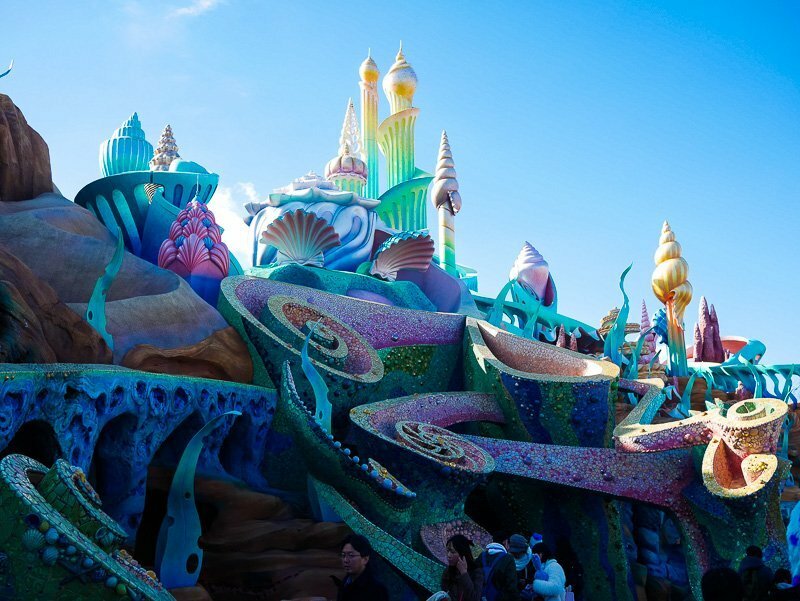 Mermaid Lagoon has a lovely organic architecture, giving a Gaudi-meets-Disney vibe. The exterior is decked in lovely pastel hues and features exaggerated seashells and coral reefs on its facade. Inside, colours become more saturated as the lights are dimmed to mimic the underwater. 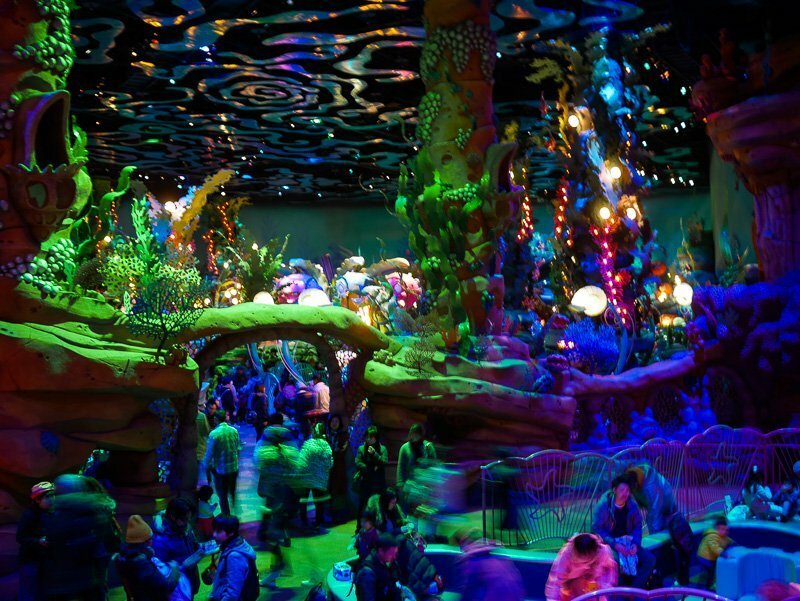 It’s super imaginative and probably excessive, almost like an underwater carnival. Not a fan of the rides here but won’t miss a chance to come in for a walk. Themed after “Aladdin” the movie and the enchanting world of 1001 Arabian Nights, this port-of-call references closely to Middle-Eastern and Indian architecture. 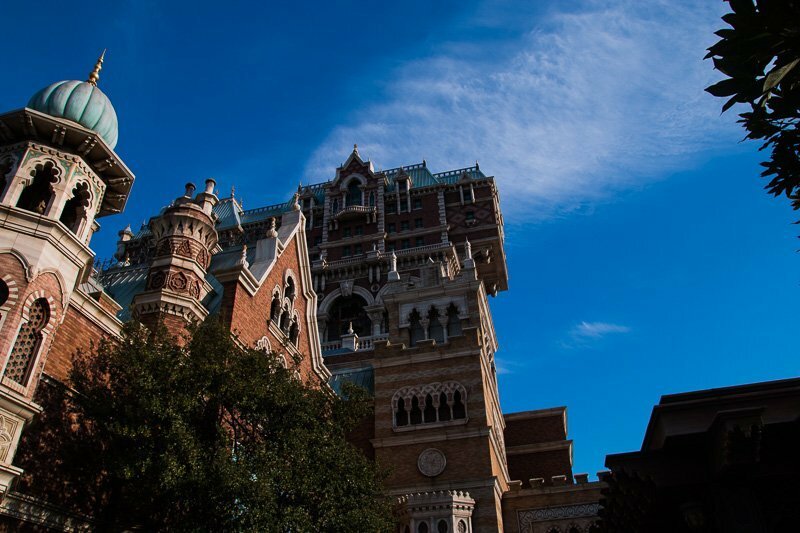 The facades are ridiculously majestic for a theme park. And the ornamentation and mosaic tiling are just insanely gorgeous. 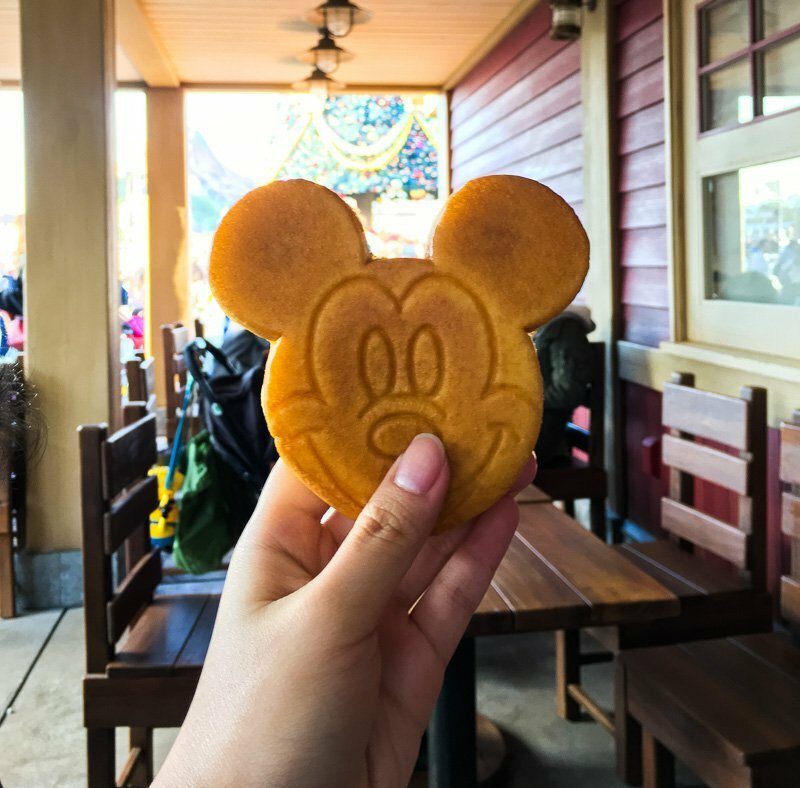 And, don’t miss these snacks while you’re at DisneySea! Mickey Mouse castella cakes are perfect for the gram and a not-so-subtle way of announcing you’re at Disney parks. Popcorns are also must-tries and come in all sorts of flavours (including curry). Even if you don’t like popcorn, buy it for the collectible popcorn container. My favourite is the Dumbo one, which I got it at Disneyland so I’m not too sure if you can get it at DisneySea. 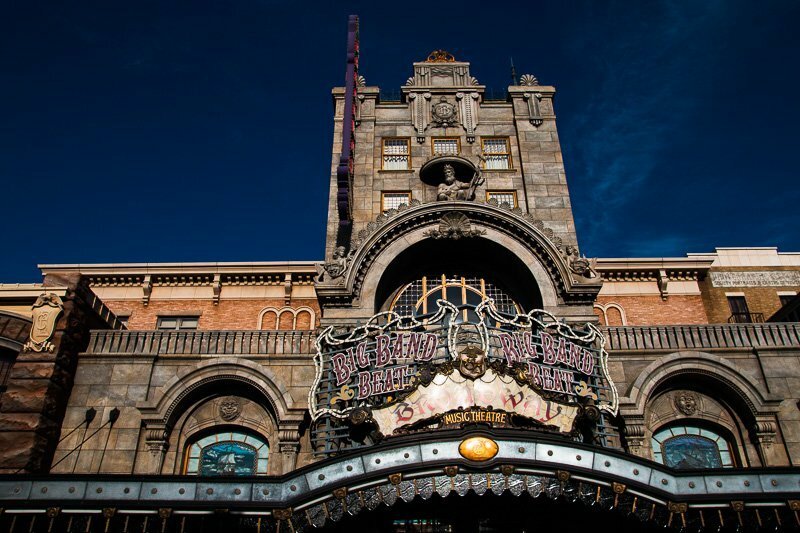 What are some other things that you feel should not be missed when you’re in DisneySea? Feel free to share in the comments. This place is wonder place for kids and I bet for adults too. I like the impression of volcano in park and sea on side. No wonder why story mania ride is popular…it is among one of my favourite animation movies. As I said not only kids love it.